We want to make it easier for you to digest an entire month's worth of movies in one sitting, so beginning this month we'll be creating these groovy little calendars you can use to get caught up on the month's most notable movie releases, both in theaters and at home. We've also littered our nerdy calendar with a few other fun facts, like the top opening weekends in October, as well as some memorable events that took place during some of your favorite movies. 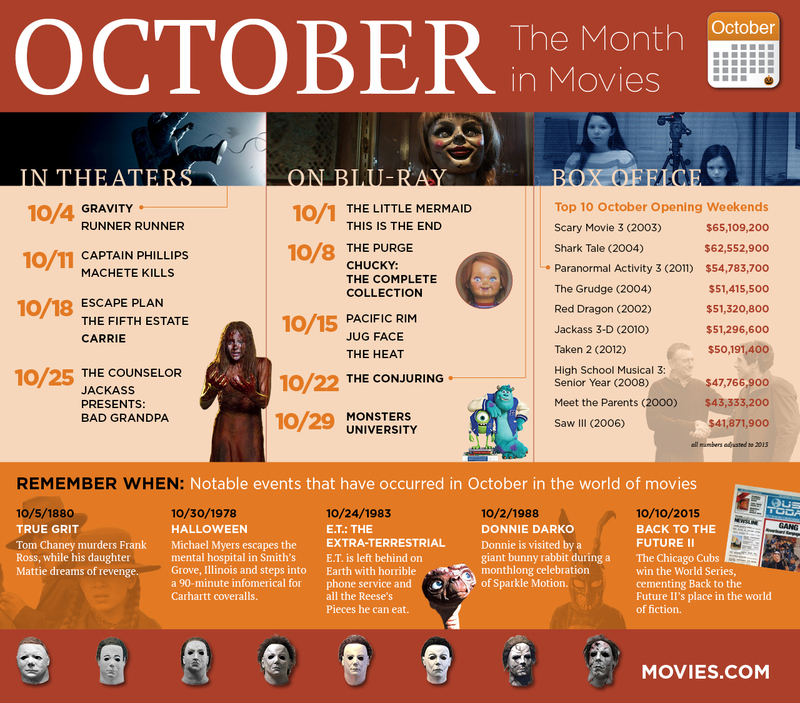 Check out our October calendar below, then let us know what else you'd like to see on a monthly calendar like this. We'll be changing it from month to month, so your input is valuable. After all, this is for you, not us. Although it's kinda for us, too, since we're completely disorganized, but mainly for you.